The Last Remnant Remastered was announced in September, and as part of that announcement, Square Enix mentioned that the game would include some new features in addition to some of the visual changes. They have released a (very) short trailer showcasing a new "high-speed movement" ability, a toggle of sorts that allows the player to quickly dart across the world, physics be damned. Last week we also had a couple trailers showcasing some of the game's remnants as well as another trailer showing off some graphical changes to a few exterior areas. 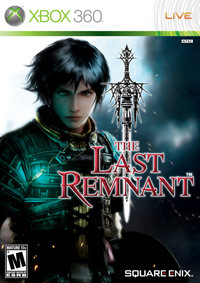 The Last Remnant Remastered releases digitally for Playstation 4 on December 6.